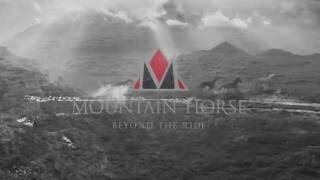 The Mountain Horse Sovereign High Rider Boots. Part of the MH Harmony Collection™ with unique MH Prolaze Stretch- Flexnotch™ Technology. Delivery costs are set at checkout, based on the delivery address and items purchased. Delivery is usually made by Next Day Courier and must be signed for - if you won't be in to receive the delivery, you can specify a safe place or neighbour where your parcel can be left at checkout. If your parcel cannot be delivered within 2 attempts, redelivery charges may apply. Please allow 3-5 days for dispatch and delivery. In the unlikely event your order could be delayed any longer than this for any reason, we will contact you by e-mail or phone. Delivery by Courier to: Austria, Belgium, Denmark, Finland, France, Germany, Italy, Luxembourg, Portugal, Sweden, Spain and the Netherlands is capped at £4.99 per order. If you're not satisfied with your goods for any reason, please return them in new condition within 3 Months of receipt and we will either exchange them or refund you. Please note, the return postage and new outbound postage for an exchange, is to be covered by the buyer. Please include your Name, Original Order Details, Contact details and Exchange or Refund request with your parcel and return them to: Returns, Hope Valley Saddlery, Greenacres, Nether Booth, Edale, Hope Valley, S33 7ZH. For exchanges, please include a cheque to cover the new outbound postage payable to "Hope Valley Limited" (for the same cost as the original outbound postage). Or alternatively, please provide us with a contact telephone number and the payment can be taken over the phone. If you have received a faulty or incorrect item, please E-Mail customerservice@hopevalleysaddlery.co.uk or call us on 01433 670 375.